After refreshing its 11- and 13-inch MacBook Air models last week, Apple is reportedly planning to add yet another ultra-thin unit to its lineup. According to Macrumors, the company is performing final tests on a 15-inch laptop that will come in slimmer than the existing 15-inch MacBook Pro model, presumably boasting flash storage and no optical drive. It's unclear if this new system will be a part of Apple's Air or Pro family. TUAW believes it will be the latter and in a separate report citing its own anonymous sources the site claims that a 17-inch model is also in the works. The move would certainly be in line with previous comments from COO Tim Cook referring to the Air as the "MacBook of the future, shipping today." Apple has had huge success with their MacBook Air range and with last week's update the company decided to drop the plastic MacBook altogether, leaving the 11-inch Air as their only entry-level machine. Meanwhile, the company's MacBook Pro line has not seen a significant external overhaul since the company switched to its unibody design in 2008. Trimming down the laptop's profile while maintaining Pro performance seems like the next logical step for Apple, though the move to flash memory would probably need to happen gradually as storage space and price is still a concern. Losing the optical drive on the Pro might not sit well with some users but the company is certainly moving in that direction. 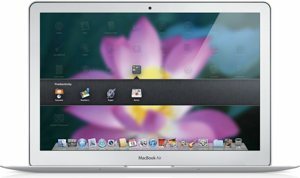 Mac OS X Lion is its first operating system to ship without a DVD or physical disk, although it will be available via USB later next month, and the newest Mac Mini has also dropped the optical drive in favor of a slimmer profile. The MacBook Pro line received its last hardware refresh in February; TUAW believes the new slim models might be available in time for Christmas.